Heat ghee or oil in a pan, fry cumin, then add chopped ginger. Fry until the raw ginger aroma abates. Add chopped chili and fry for half a minute. Add chopped spinach, red chili powder and asafoetida and sauté until spinach becomes soft and stops releasing water. 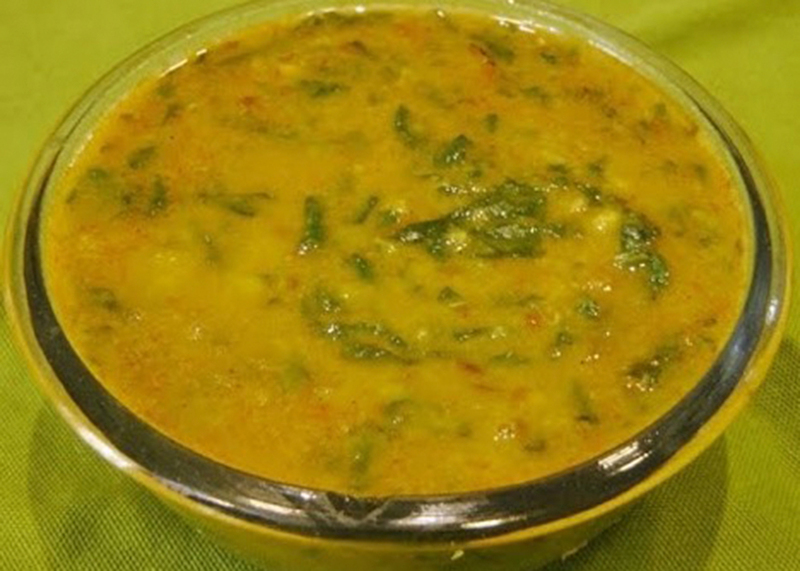 Add mashed lentils to spinach and add water (½ - 1 cup to desired thickness). Add salt and cilantro and simmer 5–6 minutes. Serve hot with rice and a side vegetable dish or salad or Indian yoghurt.